2-way emergency radios can both send and receive messages, allowing radios that operate on the same frequency to communicate back and forth. 2-way emergency radios have come a long way in the last few years, and are no longer the basic push-to-talk accessories they once were. The advancement of technology has added a vast array of features to modern 2-way emergency radios, all of which help businesses operate on a day-to-day basis, as well as during a time of emergency. 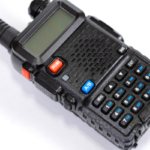 Adding a 2-way emergency radio system to your business or organization can drastically help improve communication and reaction capabilities. 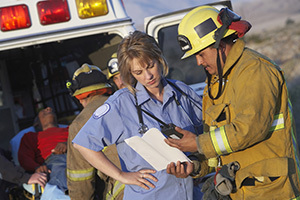 Here we explain some of the added benefits a 2-way radio can provide during an emergency. Digital 2-way emergency radios add a whole world of power at your fingertips. They can reach a number of different channels for access to practically unlimited talk groups. You can communicate with one person, or multiple people at once. Plus, 2-way emergency radios are smart enough to know when they are in and out of the programed coverage region. The moment someone steps out of these access regions, the radio can be programed to turn off and disable. This feature could potentially prevent information from getting into the wrong hands, among many other things. In simplicity, two-way radios give employees, security, and whoever else uses them, the opportunity to react accordingly during an emergency. 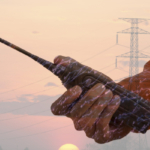 As technology continues to improve so do the features 2-way radios are equipped with. 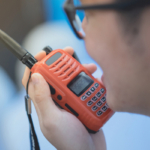 The latest digital 2-way emergency radios have a lot of added benefits people don’t often realize, many of which are especially useful to prevent a chaotic situation, as well as react to an emergency. The latest 2-way emergency radios include noise-filtering applications. During an emergency it’s known to get noisy, but when things get too loud it can be hard to communicate through any device. 2-way emergency radios help filter out background noise so that it’s easier for personnel to talk back and forth, even when things get crazy. In any emergency it is important to know where all employees or team member are located at any given moment. The latest 2-way emergency radios come complete with GPS trackers so that anyone with a handheld radio can be instantly identified and tracked on a map. This also prevents employees from wandering to spots they shouldn’t be, after all it’s all too easy to track and contact them all in a matter of seconds. 2-way emergency radios give you the chance to stop intruders with the click of a button. If an unauthorized individual gains possession of a 2-way radio it is very easy to switch off and disable the device without gaining physical possession of it. If you need to keep a close eye on something or someone, managerial staff can actually listen in to conversations taking place around radios, even when the radios are not in use. During an emergency communication is more important than ever. Cell towers and networks are often overloaded and go down during an emergency, but 2-way emergency radios will continue to work even in complete disarray. Since your radio system is your very own network, you are not at risk for losing the ability to broadcast or receive messages through the system. 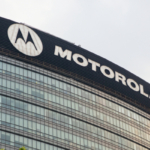 Depending on the needs of your industry, wireless radios come with a wide range of capabilities and functions. For instance, the Kenwood NX-300 UHF NexEdge Radio is dust-proof and waterproof, meaning if you work somewhere wet or dusty, you can still count on this radio to keep communicating day after day. In an emergency, when factors are uncontrollable, a flood could debilitate other communication systems, but 2-way emergency radios are built to withstand these elements will still work efficiently. Doesn’t it seem that one emergency often dominoes into another? When an emergency strikes the number one thing you want is reliability. 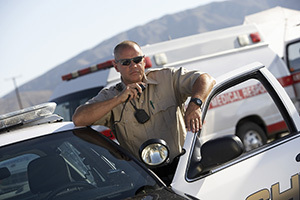 No matter how hectic an emergency becomes, you can rely on 2-way radio communication systems to handle the situation. At Highland Wireless we offer the latest and greatest 2-way radios for emergencies, as well as everyday use. Check out our incredible selection today, we’d love to help you prepare for all of life’s emergencies, both big and small!